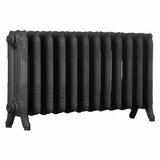 Quality cast iron radiator taken from an original design. Manufactured using traditional techniques and guaranteed for 10 years. 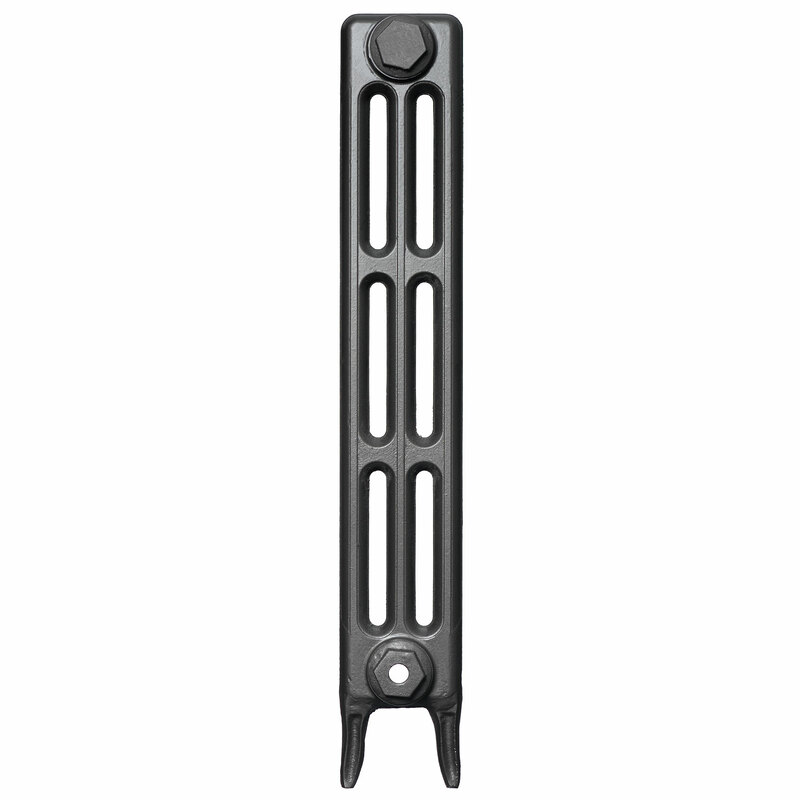 Height is 750mm from floor to top of radiator. All radiators supplied fully assembled to maximum widths shown. Distance from floor to centre of valve inlet/bush is 110mm. Victorian style design looks great in older properties. Clean, simple lines also enhance contemporary interiors. 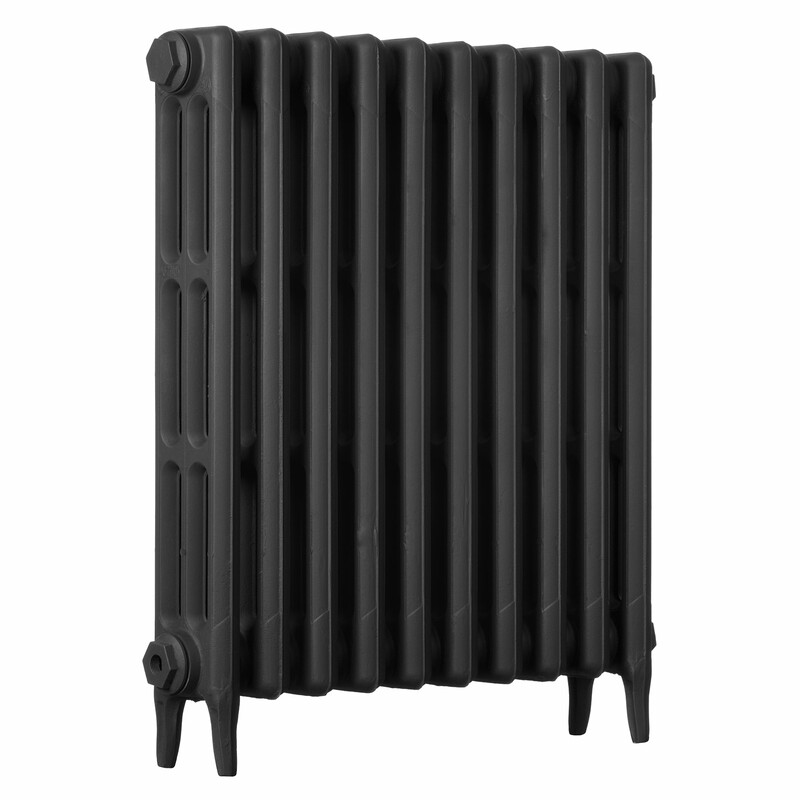 Three column chunky design provides excellent heat output. Fully assembled and ready to fit. Pressure tested to 6 bar/92psi. ½" 15mm BSP connections for main valves. Free basic brass bleed valve. Available ready painted in one of six great colours. 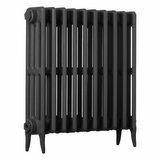 All cast iron radiators supplied CE Certified to British Standards BS EN 442-1 & BS EN 442-2. Heat outputs are at Delta T50 (ΔT50°C). See FAQ page for correction factors. This is the second radiator I have purchased from CIRC and to be honest I can't see it being the last. The quality of these things is phenomenal and the heat output also,couple that with the aesthetics they bring to any room they're in and you're on to a winner every time. Also even though they hold much more water than a conventional radiator thus having more to heat my gas bill over the winter did not change,so more heat for longer and no more money. Top banana. Not had time to plumb it in yet but they look great. However, they are extremely heavy. The delivery guy was really great & helped carry into house with my partner (nice he wasn't a jobs worth). Unfortunately once in house it was up to my partner & me to move into the kitchen. Due to the weight & not having sturdy wrapping it has ended up with the paint work getting slightly scratched off. I'd of got the touch up paint if I'd of known. Good communication & updates re delivery. * Height is for foot section from floor to top of radiator. † All lengths approximate and include to bush ends - please allow 4% tolerance. 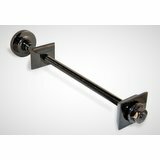 ‡ Price for standard Black Primer finish, other finishes available at extra cost. 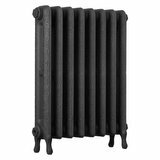 Standard finish to all cast iron radiators is a cellulose based BLACK primer. 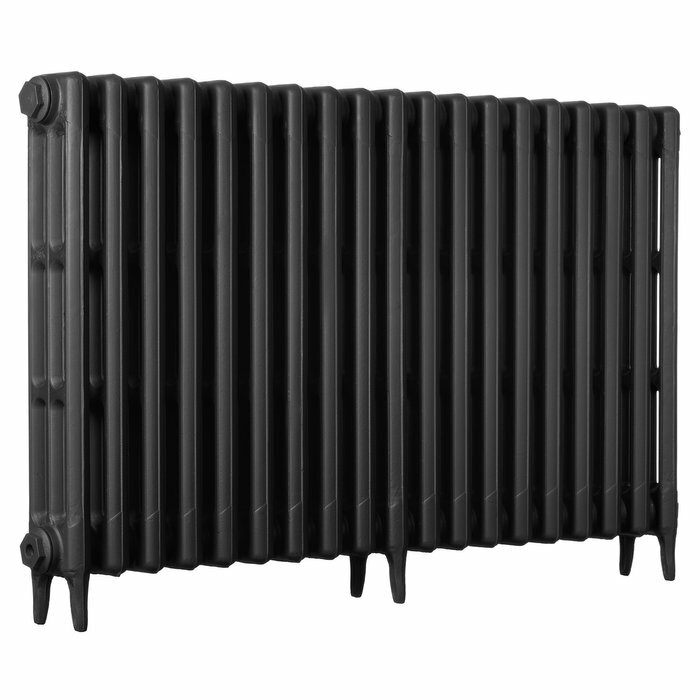 The lead time from order placed to despatch for all radiator orders will be shown at checkout a. We will obviously ship sooner if order complete. 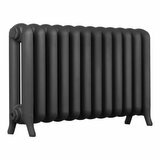 We can also supply this cast radiator ready painted/top coated in an authentic colour for only £4.50 + VAT per section. As the radiators are hand assembled, all dimensions are approximate. 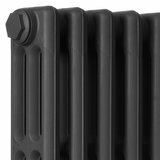 We therefore advise that pipework should only be put in place once the radiator has been delivered. All bush ends/caps will only be hand tight to allow customers to interchange if on a gravity fed heating system & will need fitting correctly when installed with PTFE etc. All Fittings (Valves, Wall stays, Shrouds etc) ordered will be placed in a bag or box placed on top of the top radiator. Air Vents/bleed valves will be in an SEALED ORANGE BAG with a bright yellow sticker stating 'Bleed Valves Enclosed'.If you are only receiving bleed valves these will be placed in the SEALED ORANGE BAG inside the top radiator. You MUST check it's content upon delivery & report any missing items immediately. Guarantees & Conditons of Sale etc. Guarantees & Conditions of Sale - Click Here! 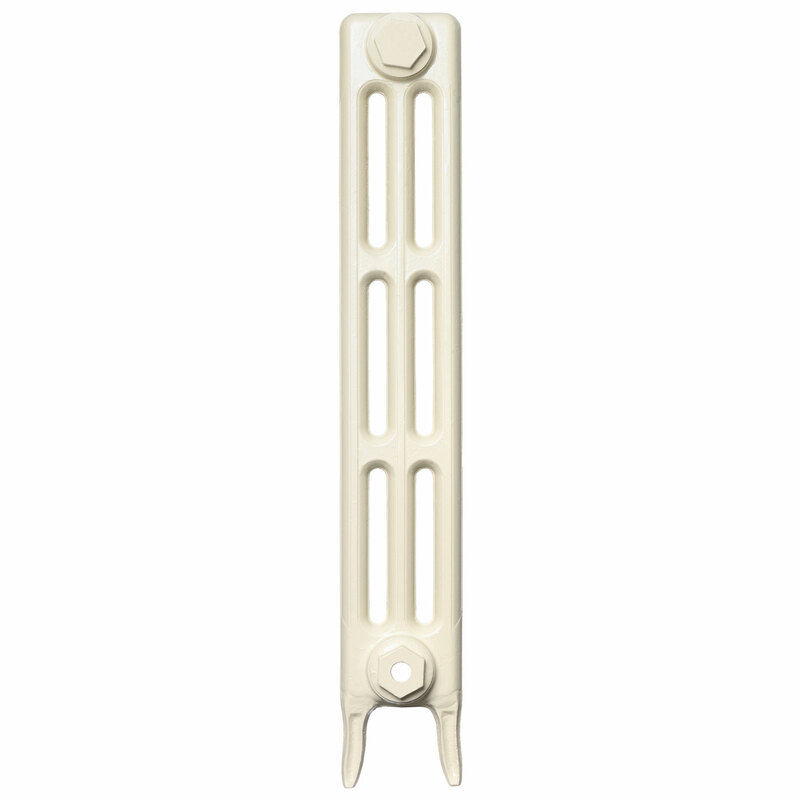 All bush ends/caps for your cast iron radiators will only be hand tight to allow customers to interchange if on a gravity fed heating system and will need fitting correctly when installed with PTFE tape. A common cause of leaks is over tightening of the valve tails into the bush ends of the cast iron radiator. Over tightening will crack the bush. When fitting the valve tail in to the bush turn it finger tight then using a spanner turn it until there is only moderate resistance. Using a 4” spanner it is difficult to over tighten. A thread sealant must be applied to the radiator end caps and to the valve tail threads to get a water tight seal. LSX sealant available at all plumbers’ merchants is recommended. PTFE tape is an acceptable alternative. The torque from an 8” adjustable spanner will be sufficient to create a good seal. All valves and air vents/bleed valves to be fitted with LSX sealant or PTFE tape. No caustic/corrosive/acidic plumbing compounds or liquids are to be used on or in any part of our radiators, our valves or connections including aggressive flushing agents. If required, the system should be flushed with clean water only. The water in the system must be neutralised correctly following the use of any compounds etc if required using appropriate crystals or similar. If caustic and/or corrosive compounds (liquid or other) have been introduced into the system resulting in subsequent damage to seals/gaskets, any guarantee offered will be invalid. When a chemical cleanser is used it must be thoroughly flushed from the system. We recommend the use of Fernox F5 for power flushing and F1 rust inhibitor. Unlike other chemicals these products are not acid based and should not affect seals. After treatments the water should be checked for a neutral PH between 7 – 8. System design, flushing and dosing must be in accordance with BS 5449, 1990, BS EN 12828:2003 and BS 7593. Following this procedure the system must be closed with a sufficient corrosion inhibitor suitable for the water quantity in your system. Dosing tools should be used to ensure the minimum correct levels of inhibitor are present at all times to prevent corrosion and should take into account the particular metals within the system. Appropriate inhibitor should be used in conjunction with manufacturer’s instructions and appropriate quantities must be used for the water content of the system. 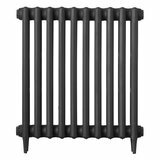 We always advise you to wait for your cast iron radiators to be onsite before working out pipe work and pipe centres widths. 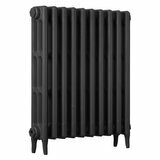 This is because cast iron is not an exact product and because each radiator is hand assembled there will always be slight discrepancies as indicated on each radiator page in the lengths of same style & size radiators. However, we appreciate that occasionally some prep work may need to be carried out prior to your order arriving onsite and that approximate pipe centre measurements may be required for first fix purposes. 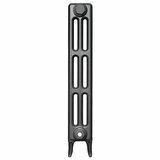 Therefore, and strictly as a guide only, we would say for the approximate pipe centres for each cast iron radiator to add approx 90mm/3.5” to the overall length shown on the Specification tab. E.g. 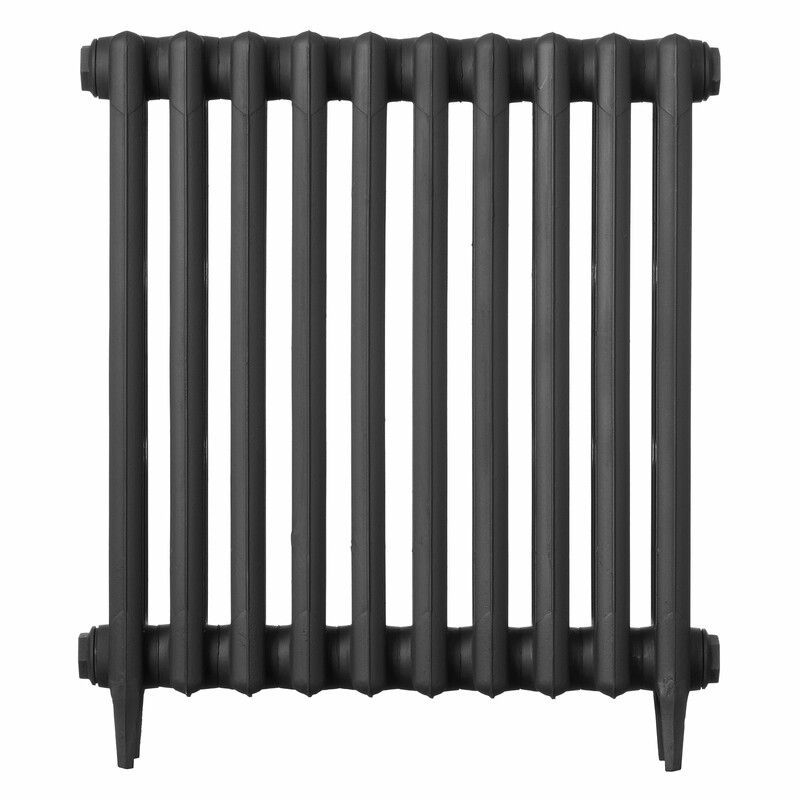 if the length indicated for a radiator is approximately 950mm then the approximate pipe centres will 1040mm & so on. 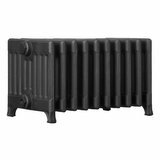 For the approximate measurement off the skirting board or wall if no skirting is used to the Pipe Centre we suggest half the depth of the cast iron radiator + 10mm as a minimum. For the approximate ‘outside valve to outside valve measurement’ (the minimum measurement to be able to operate the valves freely) you should add approx 150mm/6.0” to the length indicated for each radiator in the Specification tab. E.g. if the length indicated for a radiator is 950mm then the approximate measurement from the outside of one valve to the outside of the opposite valve will be 1100mm. DELIVERY LEAD TIMES - Lead times may need to be revised periodically without notice to meet demand at busy times, but we will always do our utmost to keep to stated times. All radiator pallet deliveries are made on a 7.5t Lorry (the smallest vehicle we can book) with tail lift to kerb side only or nearest hard standing and are based on a 'Book In & Signed For' All Day service (9.00 a.m. - 5.00 p.m. - Week days only). You will then be contacted by the delivery company directly via SMS text &/or email after despatch to organise delivery with you using the deatils supplied at order. Alternative ‘All Day’ dates will be available at no additional cost to suit. Upgraded to services such as Next Day delivery, Dedicated Day a.m. or p.m., timed delivery windows and Saturday deliveries where available are available for an additional charge to be paid . RED ROUTES & RESTRICTIVE PARKING - Please note drivers are unable to park on double yellow or red lines due to the risk of a parking ticket. ACCESS - Please inform us if there are any access restrictions at your delivery point (such as 7.5T weight restrictions or height restricted bridges). If you require a 'Dedicated Day' (working week day) for delivery to ensure you have help to hand you must indicate this in the message box at checkout. Please note that this may delay delivery slightly. This will still be a kerb side only or nearest hard standing service. For Saturday delivery, there will be an additional charges on top of the standard delivery charge quoted if this service is available. Care should be taken when removing radiator(s) from the pallet on delivery. Radiators should be lifted off and NOT dragged/pulled as this will result in paintwork being damaged. When removed from the pallet, all radiators must be carried in an upright position to prevent damaged to joints. If any items are deemed to be missing from any order, we must be contacted immediately (not longer than 2 days from receipt) via email. Failure to do so will result in additional items supplied being charged to the customer. We cannot be held responsible for any consequential costs incurred due to any shortfalls which have not been notified within the timescales above. Prices for deliveries will be automatically calculated at checkout. Pallet Delivery Prices & Conditions - Click Here! We're pleased you would like to review Traditional Victorian 3 Column 745mm Cast Iron Radiator. I was a little bit wary ordering this online, but after measuring four times and double checking I’d ordered correct, it arrived quickly. The finish and quality are fantastic. And the communication is excellent, updated at each stage. No complaints at all. Beautiful looking radiators, very pleased with the purchase. We've recently installed 6 3 column radiators. We're delighted both with the look and the performance. 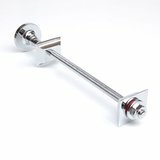 Purchasing was quick and easy; we were kept up-to-date with manufacturing progress and delivery which was both quick and on time. 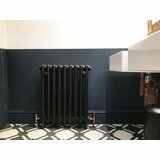 Absolutely love our new radiator and shall be ordering another in the not too distant future, looks ace and gives out lots of heat. I found the BTU calculator very useful to help me chose what size rad to buy. 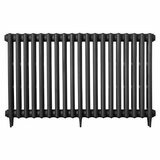 This is my second cast iron radiator from Cast Iron Radiator Centre. I ordered a third from a different supplier and regret it. Don’t be fooled - these are great quality, beautifully cast, well finished and delivered promptly and packaged well. They are also significantly cheaper! Even my plumbers were impressed by the price, quality and gorgeous fittings. All in all I couldn’t be happier. So pleased with this radiator. Looks stunning. Still have not had fitted as of yet, as having other work done, but it’s proudly sat in situ waiting . Cast iron radiator centre answered my emails same day, I even changed my colour at last minute, but it was not a problem. Excellent customer service from start to finish. Will definitely recommend and be back for more radiators as we decorate other rooms! Thank you! very pleased with service and speed of delivery.I have now bought from this company twice and recomended them to a neighbour,staff always very helpful . This is the 2nd rad I've bought from CIRC, and I'm v happy with it. The guide to choosing the correct size is helpful and easy. I went for slightly more as I'm heating a hall/stairwell, with no heating on the landing. The rad heats up really quickly, and the amount of heat is impressive. I got it in Gunmetal Grey and it looks really great. Good quality and stylish. Excellent value. Delivery was quick and easy, and they answered all my questions helpfully. Got this installed yesterday; it looks great and delivers the heat as expected. One gripe, trying to find a radiator bleed key that fits. N.B. 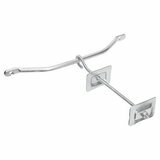 Standard radiator bleed keys Available fro BES Supplies if required. Fantastic product and services again! Not only are the radiators fantastic, but the service from Coventry Demolition is just fantastic. Even years after you buy from them they stand behind their products, I can't recommend them highly enough. Really lovely radiator. This is the second one I've ordered and the quality is excellent and so much cheaper than elsewhere. And I searched everywhere! 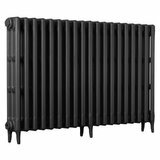 Lovely radiators, very prompt dispatch time and reasonably priced. Recommended! 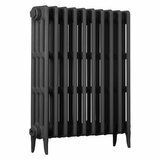 Purchased 5 radiators to maintain the correct look in a barn renovation and am delighted. Selecting the items was easy, ordering was very straightforward, and we were kept informed of the order's progress all the time. Now that they are all in and running, we are even more delighted. Recommend. I am so happy with my Radiators ... I purchased 13 for a complete renovation project, in antique bronze, Matt black and satin black all equally fab !! I did a lot of research and this company was the most competitive..I can’t rave enough about the radiators.. Service was great and kept up to date at all stages ...love them !! These radiators look fantastic. They'll outlast us! Really happy. Thinking about replacing more around our house. Wanted to replace the bog standard steel ones in our cottage. These are high quality casting and finish. Well worth the price. The Rad’s arrived within a few weeks of ordering, chose the Bronze colour, surprised at how nice it is a nice greeny gold. Haven’t actually plumbed them in completely yet, but they look superb. Golden service, attention to details, excellent products, delivered as promised and agreed. Very competitive prices as well. Very professional and knowledgeable. Radiators, valves and accessories are all excellent. Really impressed with the quality, look, robustness and the speed of delivery. Exceptional, friendly and professional service from Paul and the team. Had a small issue on receipt that was promptly corrected without fuss. 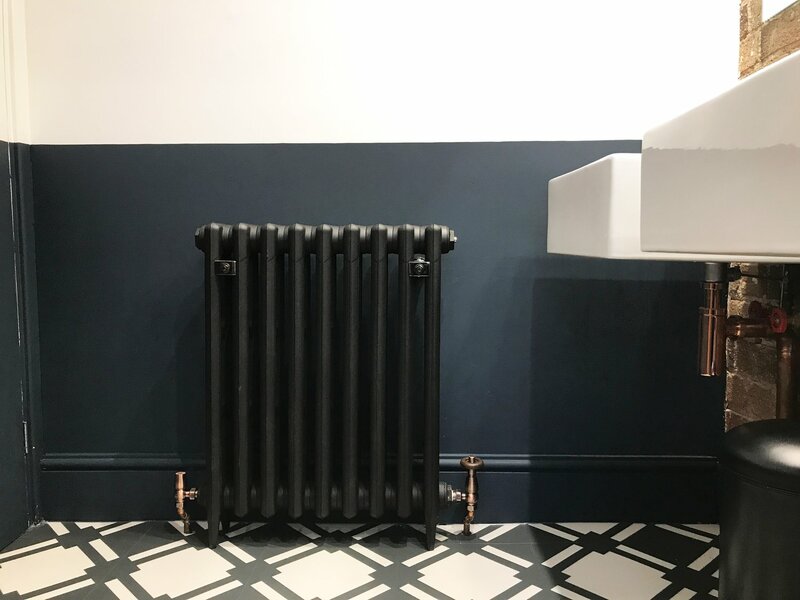 My wife and I are absolutely delighted with our new 660mm 19 column Rad in gunmetal grey with nickle shrouds and fittings which looks amazing against the exposed brick wall in our new kitchen. Every visitor comments on its beauty. Kicks out huge amount of heat too. We will definitely be adding another 2-3 of these to our house over the coming months. Highly recommend this company for quality craftsmanship and excellent service. Wonderful service, despatch time as promised, quick delivery and fabulous radiators. Purchased 7 in total and the valves are great too. Will be ordering another in the New Year. Excellent product ,Great delivery instructions with constant updates email and phone. will use again. Absolutely excellent all round. Very good customer service and the radiators are top quality. I had previously ordered one from another company which was far more expensive and the quality is the same. Very pleased. Also worth saying that I had been worried that the linen white might look more cream against a white wall (because it looks off-white in the pictures) however this is not the case at all and it looks white in real life. Very pleased, thank you. I've been extremely pleased with my purchase and level of service from start to finish and of course my iron radiators are amazing. I still need a few more so I will be back. Thank you. 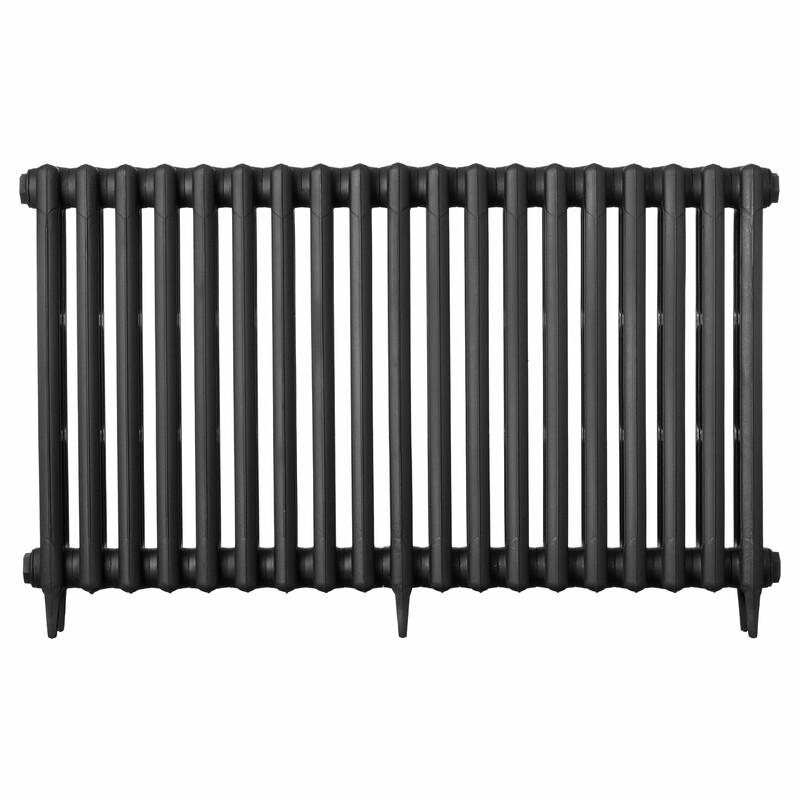 These radiaitors are lovely and the service from Cast Iron Radiators is top notch, will be using again. Really good service. Good communication and advice on purchasing including sizing. I wished to replace an older radiator and found help in how big to construct my own radiator. A really neat little rad. Just right for my bedroom in antique bronze finish. Was really straightforward ordering and getting delivery. Recommend using the trad. valves and shrouds, as they look so much nicer than modern ones on these rads. I hope to replace the rads in my sitting and dining rooms next year with cast iron ones, so much more fitting in an old house like mine, and they really belt out the heat. 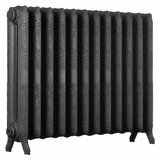 I have just replaced all 5 radiators in my home with radiators from Cast Iron Radiator Centre. I couldn't be happier with them - the rads themselves are gorgeous, true to original design. 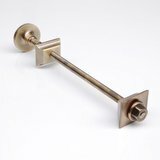 The finish is of a very high quality and works beautifully with the colours in my rooms (I have half in the Gunmetal and half in the Antique Bronze). The valves, wall stays, shrouds and base plates complete the look. I am delighted with the change this has made in the way my house looks and feels - and amazed at the heat efficiency against the size. My old radiators (which I inherited when I bought the house) took up more space and gave out less heat. I'd recommend this company to anyone looking to beautify their home with a bit of warm cast iron. 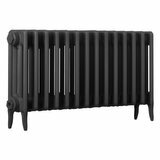 Ordered, paid , despatched on time, the radiators are excellent and look fantastic in our old cottage very good service, we are really pleased and just about to order another one. Fantastic quality products and great service. Lovely radiator, good communication throughout. Now on our second order we have been very impressed with both the quality and speed of the supply for bespoke goods. Communication via a phone call was a welcome surprise rather than an email that ends up in the junk box! Thank you once again for great service. Lovely looking radiator, and worth spending a little more on the valves and wall fitting to finish it off. I would definitely recommend them, and would happily buy from them again. Nicely cast radiators. Well painted and robust. Looks great installed in Antique Bronze. Ordering process was great, wait was short, delivery process very good and staff very helpful. So good I've now bought 14! So happy with this purchase. 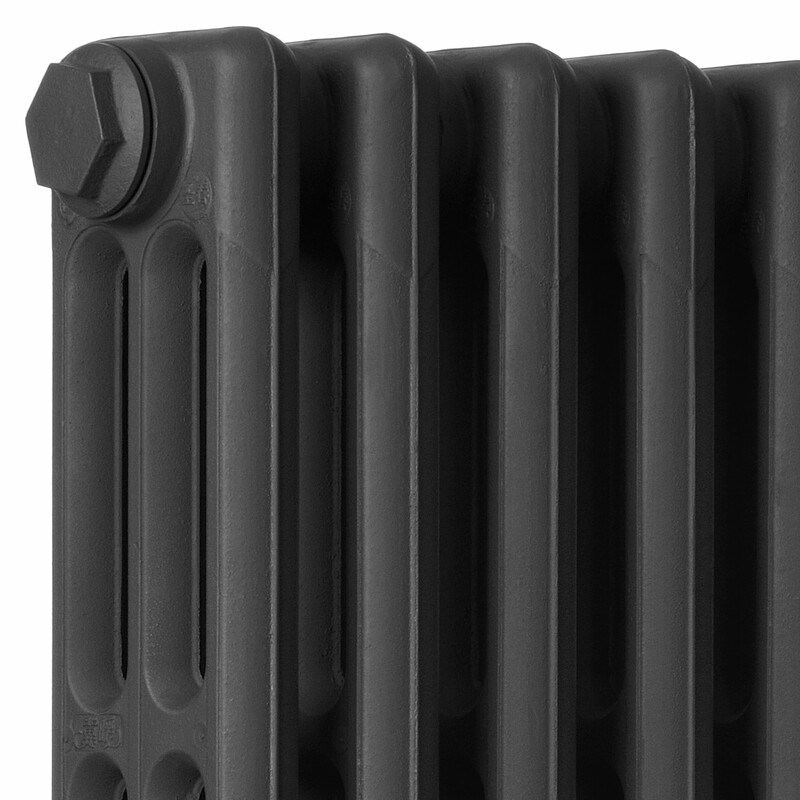 These radiators look the part, weigh a ton and definitely pack a punch heat-wise. They don't arrive overnight like your bog standard radiators but I found the lead times on the website to be completely accurate. Not disappointed. Highly recommended. Not fitted this yet, its going in my new kitchen the size is perfect and colour (gunmetal ). Its soooooooo heavy but only small but that tells you you have a solid cast iron radiator ! My plumber who will be fitting said it will be a pleasure to fit it : ) Service was great and man did deliver it to the door for us. Hi Ruth, thank you for the positive review. we want to point out that although you had great service throughout, the delivery is stated as kerbside or nearest hard standing, so other readers, please note this point. 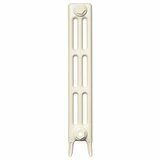 I bought 5 radiators in linen white, they were very resonably priced and look just right, will be buying more again soon. We've very pleased with this simple traditional radiator which is ideal for our period house. The linen white paint colour is a very nice, soft off white.